You won’t need a ladder for this, just a few minutes to check out the chimney from the ground. 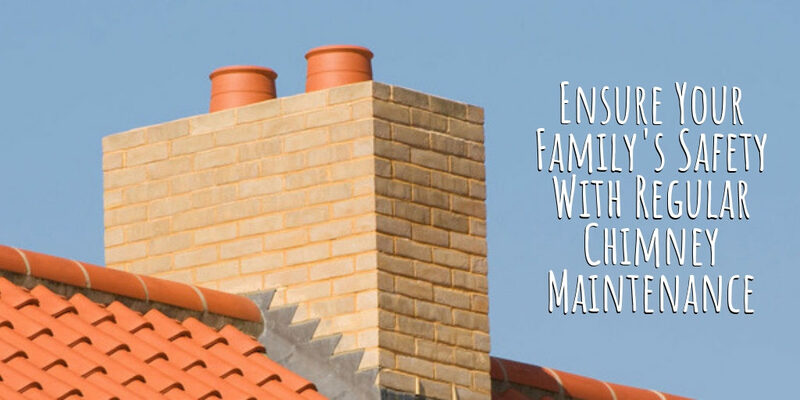 A chimney in good working order should be straight with no bends or leans to it. The cap should be attached firmly to the top. This is to prevent birds or animals from nesting inside and obstructing the airflow. The bricks and mortar should be in could condition and the flashing around the chimney should lie flat against the roof with no gaps or discoloration. After having a look at the chimney, check to see if there are any trees nearby with branches that could catch fire. If there are, you should trim them back or hire someone else to do it. If you have a wood-burning fireplace or wood stove connected to the chimney, it is a good idea to take a look at the chimney from inside the house, too. Check to see that the damper is working properly and that there are no visible cracks in the liner of bricks. Paying attention to your chimney is important, especially if you have a fireplace or wood stove in your home. Making an appointment for a yearly cleaning by a professional should be part of your scheduled yearly maintenance.